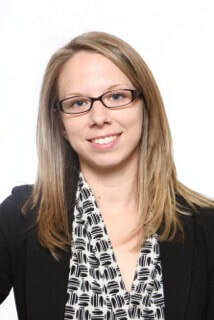 Jody is a registered Social Worker with the Ontario College of Social Workers and Social Service Workers (OCSWSSW), and a professional member of the Ontario Association of Social Workers. Her work is informed first and foremost by her clients’ own wisdom and insight into their stories, strengths, and challenges. In collaboration with this, and using a relational approach, Jody integrates the use of several evidence-based frameworks in her practice, including Emotion-Focused Therapy, Dialectical Behaviour Therapy, Cognitive Processing Therapy, Cognitive Behavioural Therapy, Attachment-Based Family Therapy, and somatic (body-oriented) psychotherapies. Jody is also trained in Eye-Movement Desensitization and Reprocessing (EMDR) Therapy, and has received more specialized training in working with clients with more complex relational trauma who experience varying levels of dissociation (e.g., she is currently pursuing a certification in Complex Trauma and Dissociation through the ISSTD). Areas of clinical specialization for Jody include complex and developmental (childhood) trauma, critical incident trauma, sexual assault and abuse, intimate partner violence, anxiety, attachment-related family conflict, and adolescent behavioural issues. She has experience in private practice settings, hospitals, and within the justice system. Jody is inspired by the courage and resilience of her clients on a daily basis, and honoured to be able to be a part of so many brave journeys towards healing. "When not enjoying time with my clients, I can be found practicing yoga, going for a jog, indulging in good food, or curling up at home with my miniature dachshund."